Hi sewing friends. 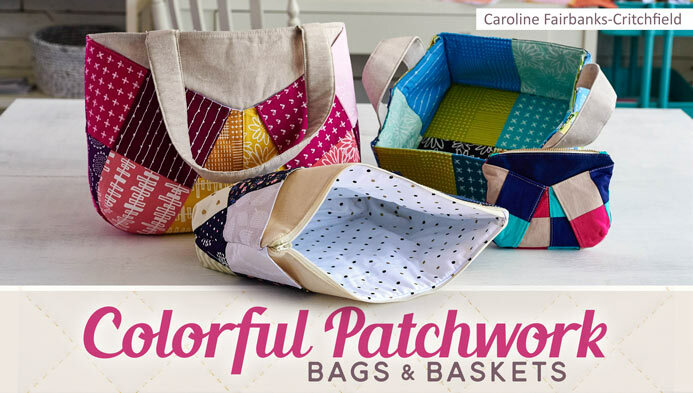 Today I'm posting as a part of the Colorful Patchwork Bags and Baskets blog hop at SewCanShe. My friend Caroline recently came up with the cutest pattern and got the chance to film her first *Craftsy class about it. Her class is called Colorful Patchwork Bags and Baskets and her patterns are super versatile. Have you ever taken a Craftsy class? They are so fun and I always learn something new when I watch one. 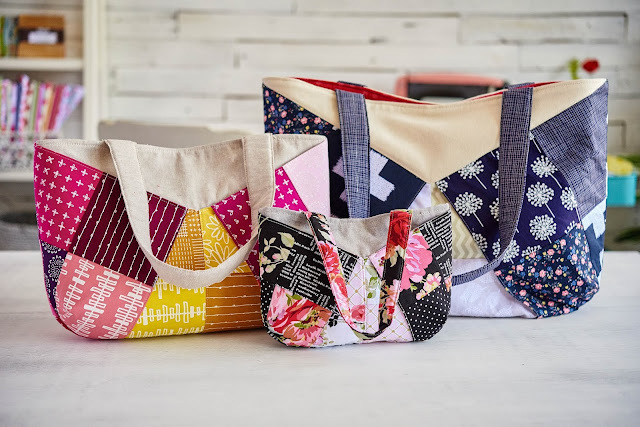 In Caroline's class, she teaches how to make tote bags, zipper pouches, and fabric baskets using a fun and fail proof patchwork technique. Once you learn the techniques you can make any size bag or basket that you'd like. Of course I chose to make a bag....of course. This looks like your typical tote but it isn't. It has options. I chose to make the version that has pockets on the outside which are installed in a very clever way. They are big enough to slip in your favorite novel or anything else you need to keep right at your finger tips. My favorite part about this pattern is that it uses gridded interfacing by Pellon that makes for super easy patchwork piecing. Here's a view of the inside where there are more pockets. And the fabric on the handles is my favorite. Patchwork: Priory Square by Katy Jones. And if you are trying to recreate this very bag I started with 5'' charm squares. 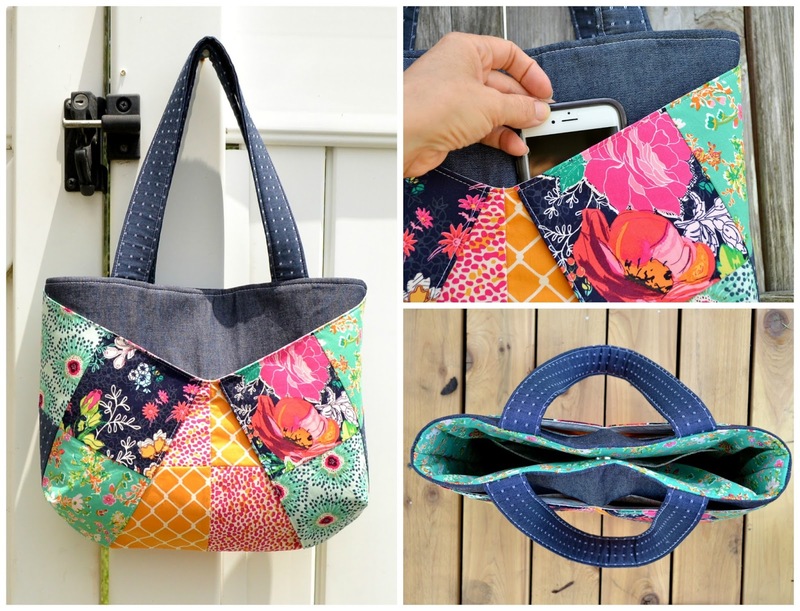 The tote bag is just one of the projects you can make in this class. 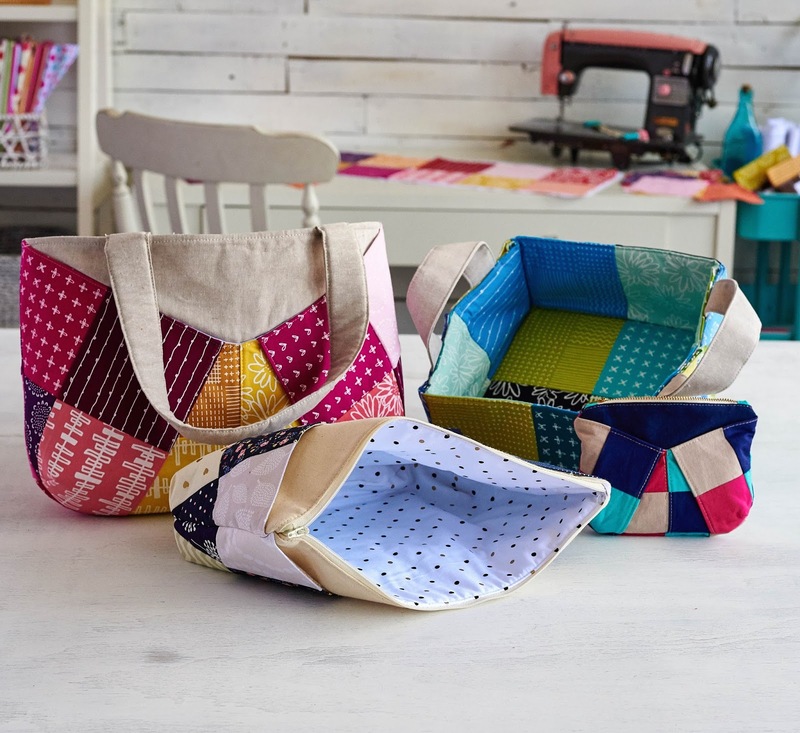 Caroline also shows you how to make fabric baskets and zipper pouches in a variety of sizes. Isn't that little tiny pouch so cute? Want to checkout this class and see how these cute projects are made? You are in luck! Caroline is generously offering 50% discount to my readers (that means you!). To get the discount, and to watch a preview of the class, click HERE. Remember once you purchase the class you can watch it anytime, and you'll have indefinite access to it through your free Craftsy account. Be sure to check out the other stops on the blog hop below. New links will appear as the week goes on with a new stop every day. *In full disclosure, this post contains Craftsy affiliate links. I was given a free link to take this class and supplied with some interfacing and supplies to make the cute tote you see above. But, I truly think this is a brilliant pattern and hope you'll try it out. If you do, let me know what you think. These bags are all so cute, I always try to sew gifts an when I'm done I want to keep it for myself lol!